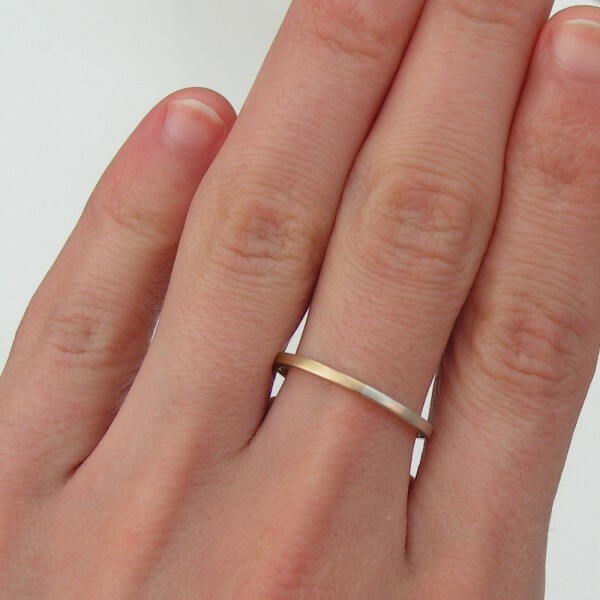 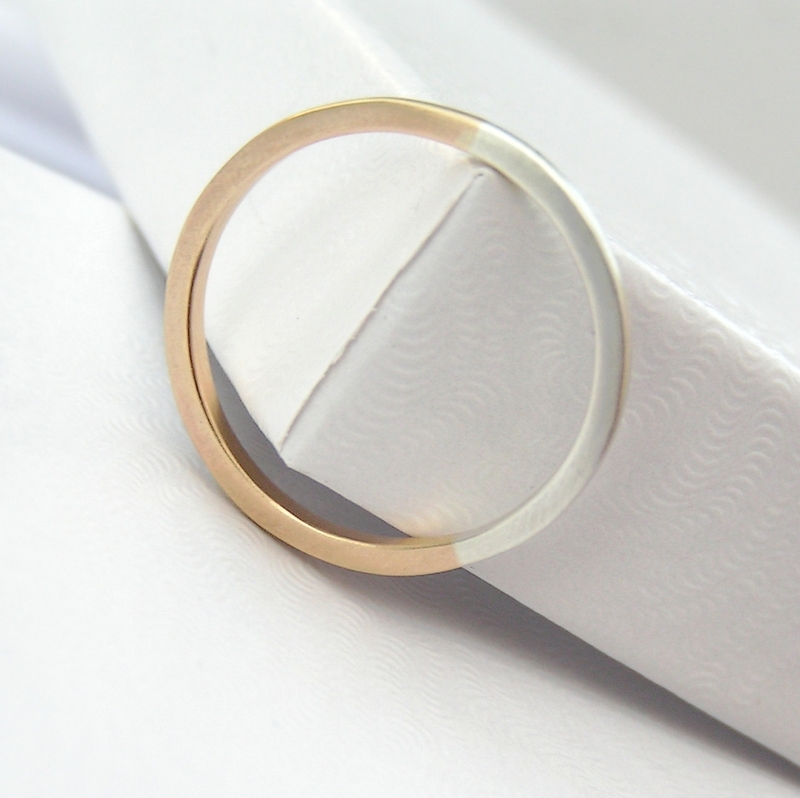 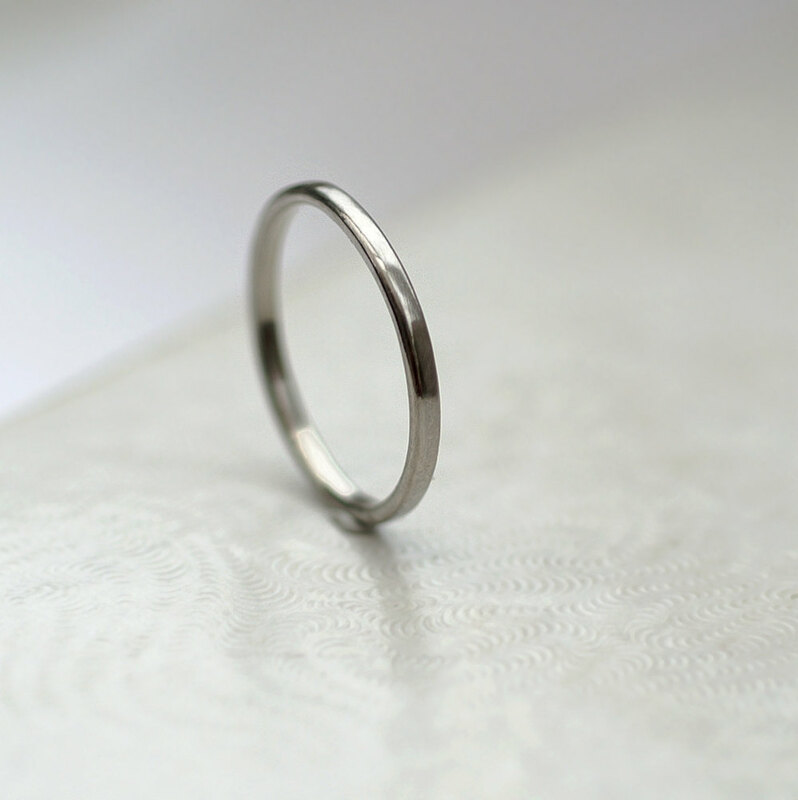 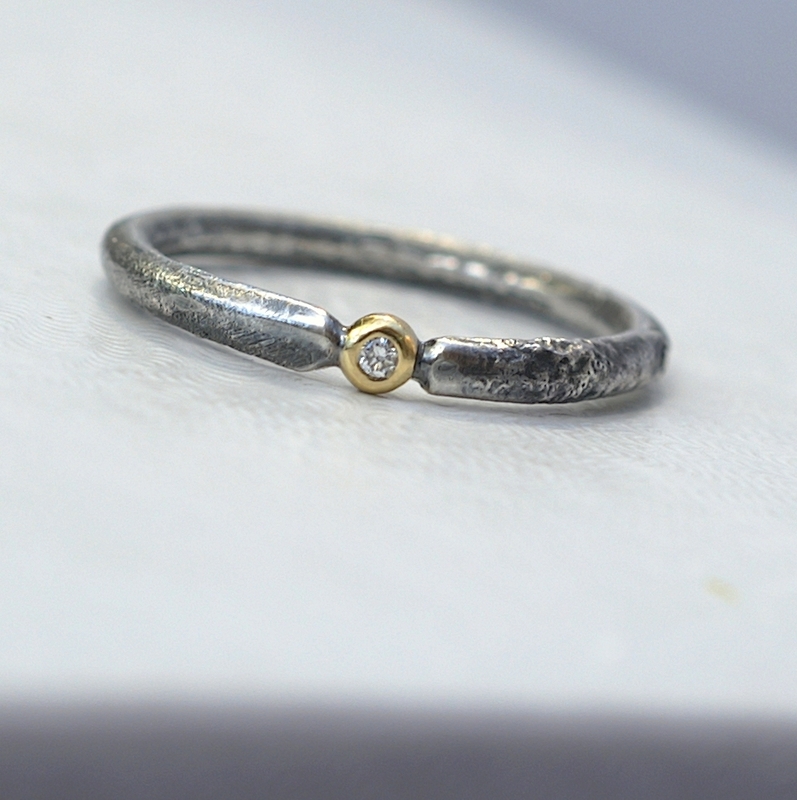 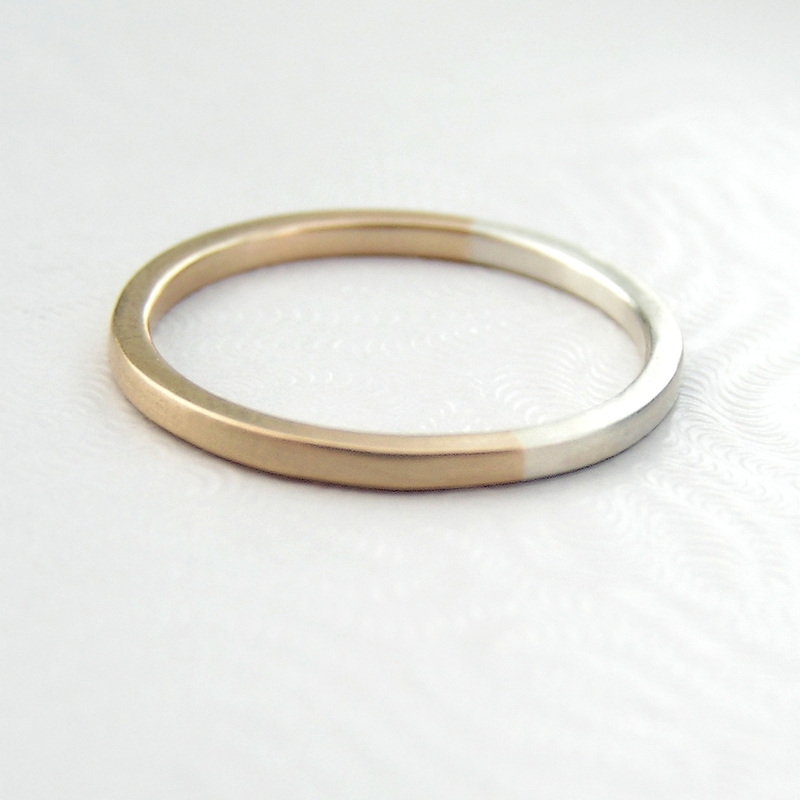 Thin and dainty wedding band or everyday ring made with 9k yellow gold and sterling silver in golden ratio. 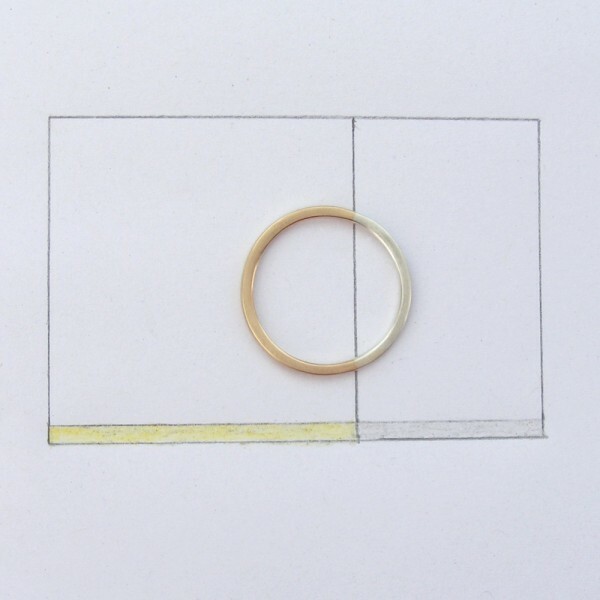 Thin band ring made from 9ct yellow gold and silver in golden ratio. 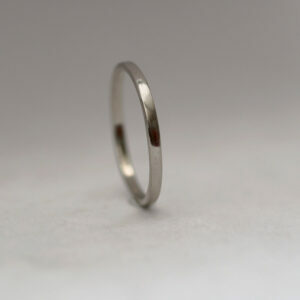 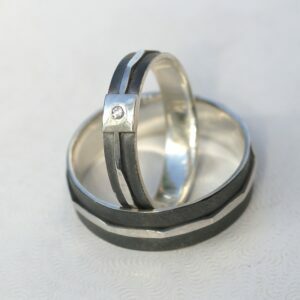 Perfect gift or wedding ring for math lovers, geeks, scientists or artists. 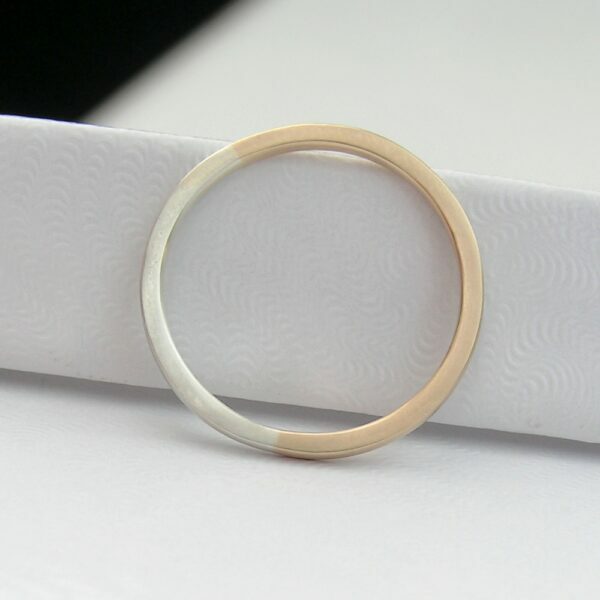 And for perfectionists among us – you can choose the visible side of the ring to match other metal accessories in your outfit! 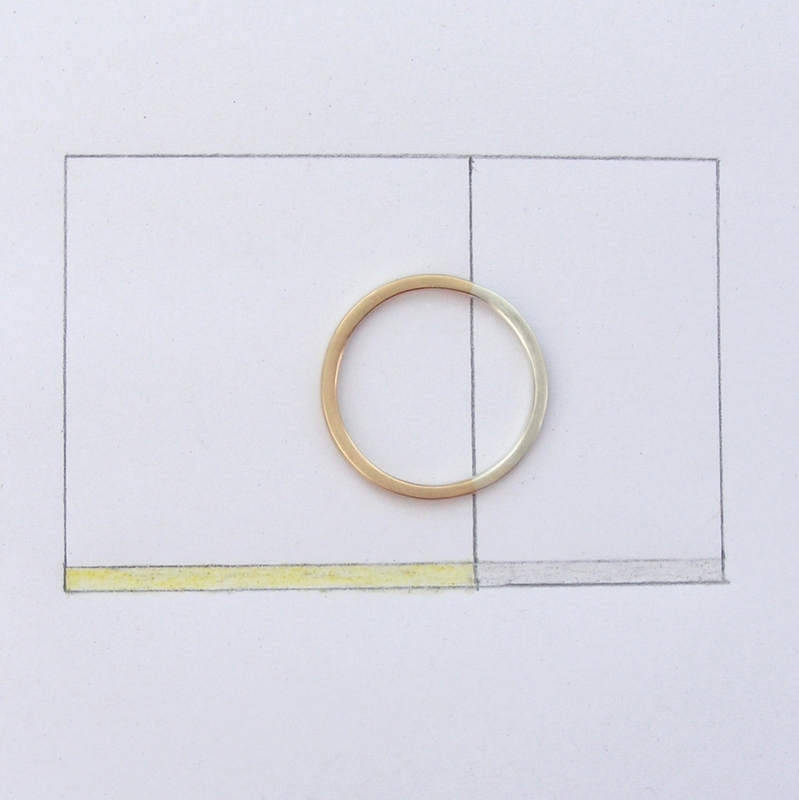 Making of this ring is tricky. 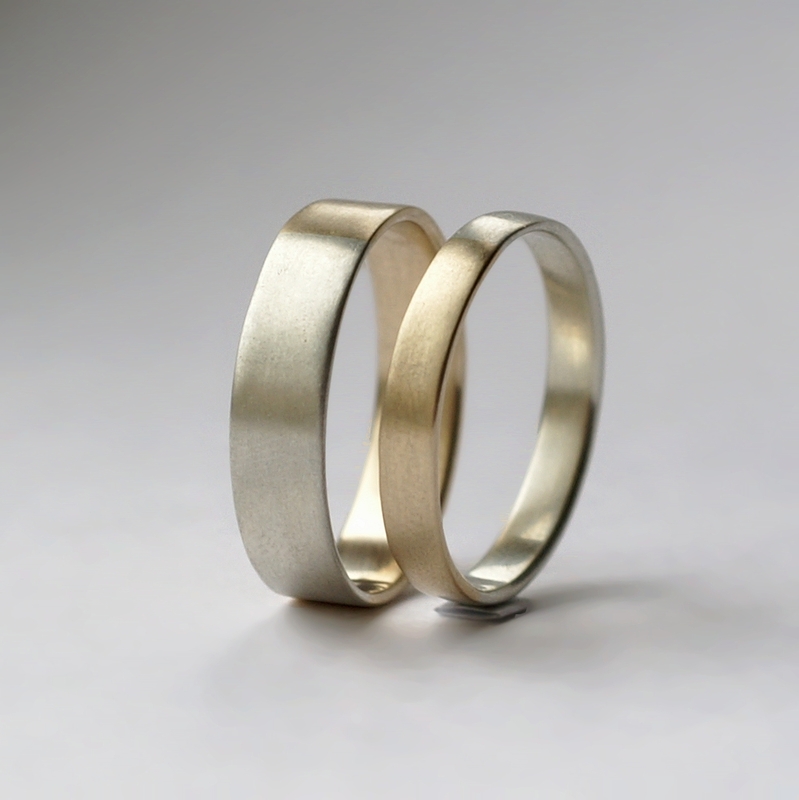 For every size I need to count the exact length of gold and silver wire for them to be in the famous golden ratio. It is simple shaped band, square with slightly rounded edges for comfortable wear, matte finished. 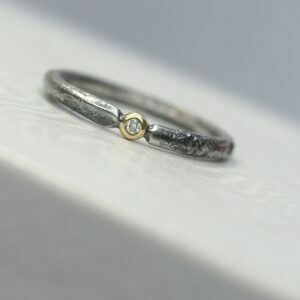 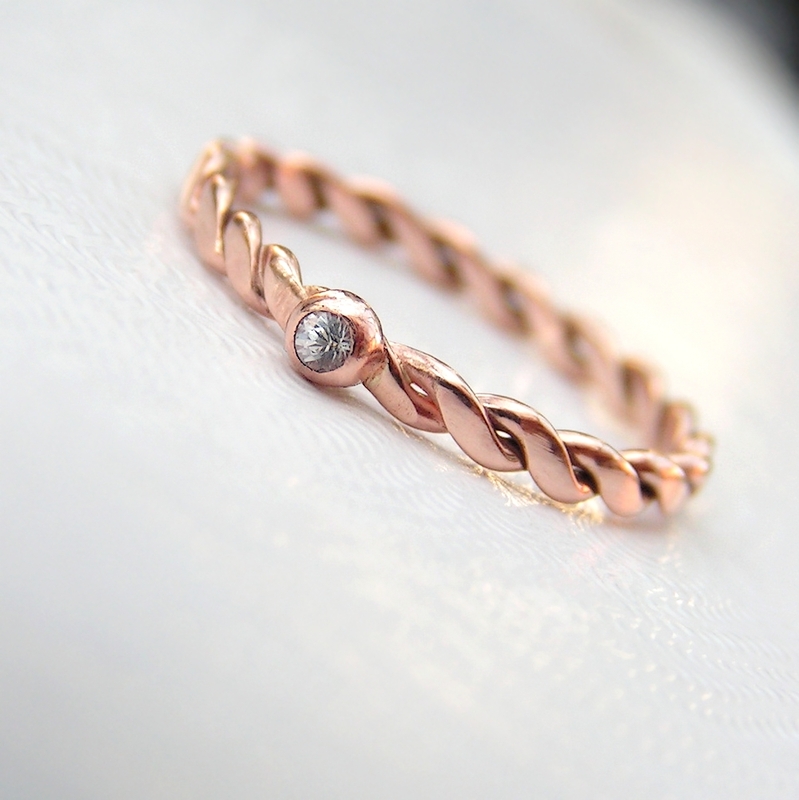 I can make similar ring wider, in different shape or with 18kt gold. 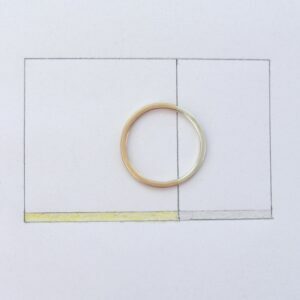 For some shapes combination of white and yellow gold may be also possible. 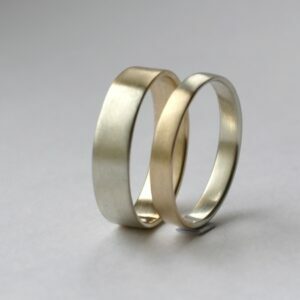 I can also switch the gold and silver part (silver would be bigger) for lower price. This ring would make nice stacking ring. 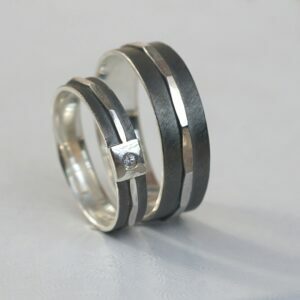 When ordering in set, I can give you a discount (for 3 or more pieces) and make a mix of more gold and more silver rings. 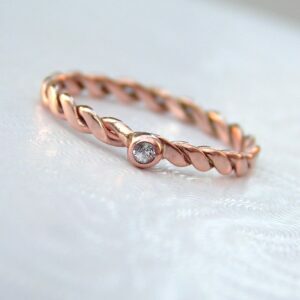 Contact me for custom order or any other info.